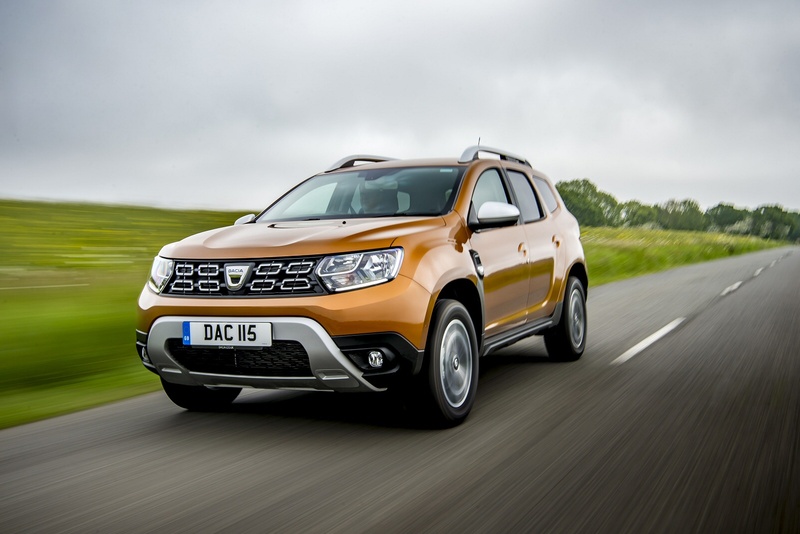 The Duster is the car that epitomises Dacia, the Renault-owned Romanian brand who've brought a whole new value perspective to family cars since their launch in our market back in 2012. The original version of this model was astonishingly well priced - but felt it in some aspects of its design. With a few of the rough edges smoothed off though, this second generation version could be a very competitive proposition indeed. Here, we're trying it in 1.6-litre SCe 2WD petrol form. 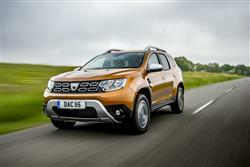 There's nothing radically different on offer to Duster buyers this time round, but at the same time, almost everything's been changed - or so Dacia says anyway. The reality is that the 'B0'-series platform and a lot of the engineering you can't see is much the same as it was before, but it is true that every exterior panel is new. The drive experience should be much better too - the brand boldly promises that refinement is almost twice as good. Best of all perhaps, we're promised that the cabin will no longer have the feel of an Armenian thrift store. 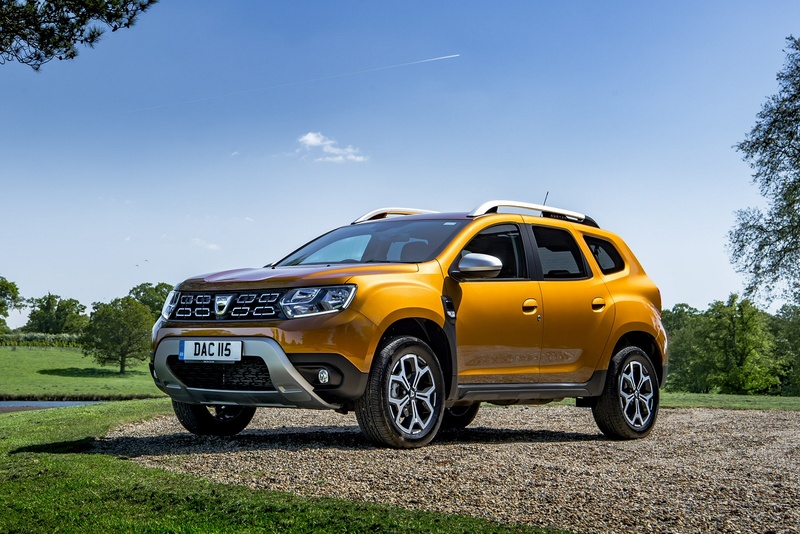 And you'll now be able to option it up with sophisticated features foreign to the Dacia brand in the past, like climate control, keyless entry and a multi-view rear camera. But you could argue that to do that would be dilute this car's most unique selling point - its value proposition. 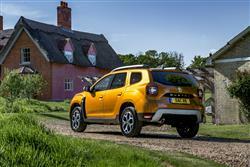 On the move, a couple of key things characterise the drive dynamics of this second generation Duster. The first thing that impresses itself upon you is the steering, this time round a modern electrically-assisted set-up that's vastly better than the vague old hydraulic system used previously. It rather light and devoid of much feedback (which to be honest reflects the handling overall), but it makes the car much easier to manoeuvre in tight spots than it was before. The second and equally important change here relates to refinement. It's a measure of what a noisy old thing the previous Duster was that Dacia can claim a 50% reduction in interior noise this time round. It certainly feels significantly quieter, especially at lower speeds. Engine-wise, there's a choice of two 115hp powerplants. Either the 1.6-litre SCe normally aspirated petrol unit we tried. Or the 1.5-litre 'Blue dCi' turbo diesel. Either way, 4WD is an option if you want it, though most buyers will probably stick to the front-driven format of our test car. The rather old-tech 1.6 SCe petrol lump has about the right sort of output for a car of this kind, but without a turbo to boost it along a bit, there's a notably lack of grunt through the gears thanks to the modest 156Nm torque output. From rest, the 62mph sprint occupies 11.9s en route to 107mph, figures that fall to 12.9s and 105mph if you go for 4WD. In redesigning this car, the Romanian brand could have followed rivals and made the car a little more bling, but thankfully, they haven't. Every body panel has changed to make it smarter, smoother and more modern, but it's still very much a sensible, no nonsense compact Sport Utility Vehicle. Once inside, you still know you're in a budget brand model but it's a vast improvement on what was offered up before. 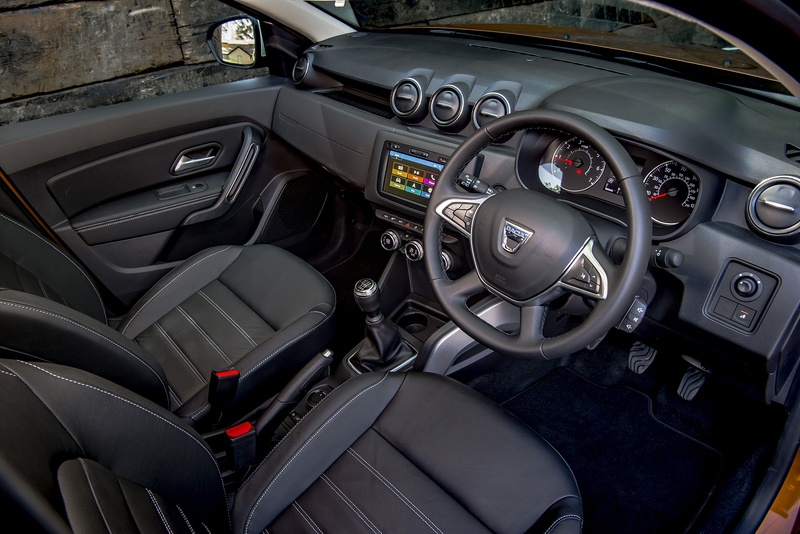 The centre console no longer looks like something from the last century, now incorporating three smart central vents and a higher-set screen for the 'MediaNav' infotainment display you get on plusher models. What else? Well thanks to the raised driving position and the large glass area, forward vision is fine, but your rear three-quarter view is rather limited by the up-swept rear windows and thick pillars. In the rear, the fact that this Duster's so much larger than the class norm helps enormously here. And the boot also benefits from this Duster's generous exterior sizing. Most cars in this class give you 350-400-litres of trunk space; here, you get 445-litres in a front-driven model like this one. With everything flat, there's 1,623-litres of fresh air on offer in this front-driven version - or 1,559-litres in the 4WD version. 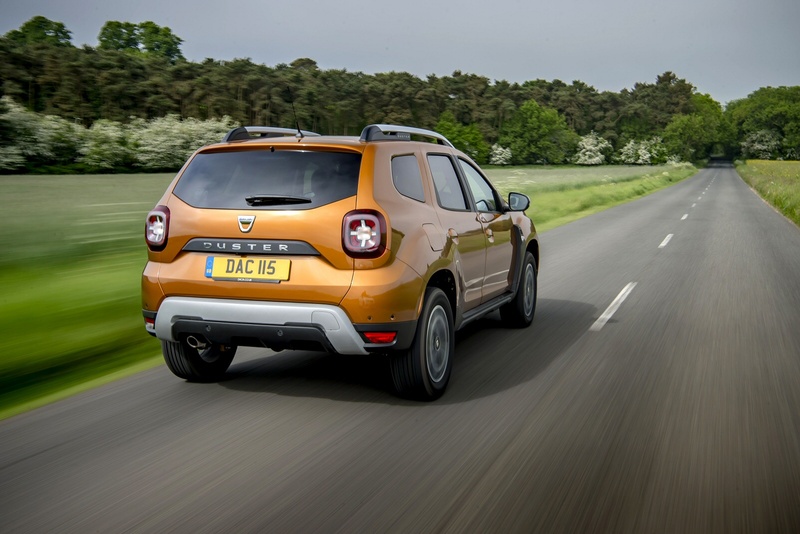 The baseline £10K price that Duster adverts trumpet applies to an 'Access'-specification variant that hardly anyone buys because it really is basic. You may not care that it can only be ordered in petrol form, but you might well object to the fact that it doesn't even have a radio and not many other creature comforts either. 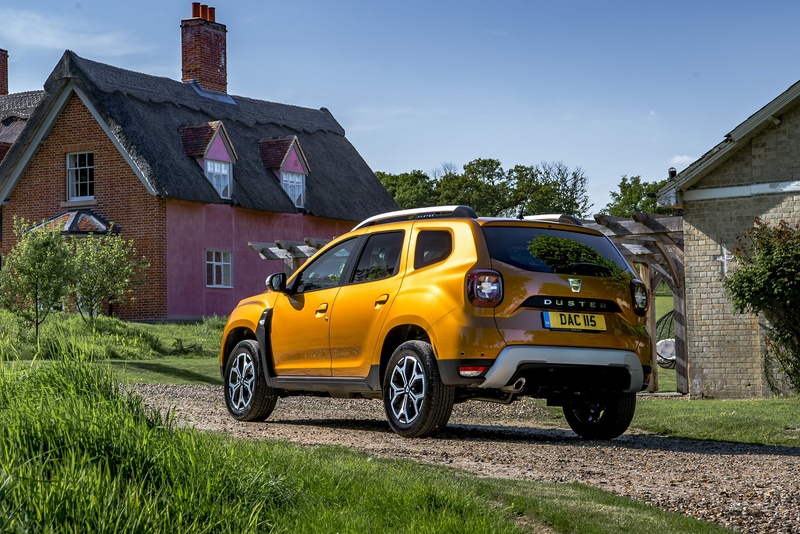 There's a reason why almost all Duster buyers start their range-perusal one-up from the base trim level, which means a starting price of just under £12,000 for the 'Essential' variant in question. For this test, we opted for mid-range 'Comfort'-spec, which - priced from not much more than £13,000 - gives you a few extra niceties. And even if you go for the fanciest 'Prestige' model, you can have one for well under £15,000. 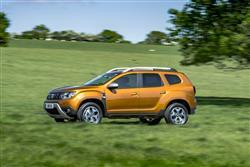 Avoid base trim and you can specify 4WD for an extra £2,000. As for equipment, well the mid-level 'Comfort' trim level gets you 16-inch 'Cyclade' alloy wheels, extra-tinted rear windows and satin chrome trim that's applied to the side sills, the door mirrors, the roof bars and the front and rear skid plates. Inside, the main addition at this level is the 7-inch 'MediaNav' centre dash infotainment screen which features navigation, voice control and traffic information. Plus there's a rear view camera, a 7-function trip computer, cruise control, powered heated mirrors and electric rear windows. At times in the previous Duster line-up, Dacia experimented with Renault's TCe petrol turbo engine technology and we'd hoped that this might have been used in this MK2 model. As it is, petrol versions of this car must persevere with an old-tech normally aspirated 115hp 1.6-litre SCe petrol powerplant. 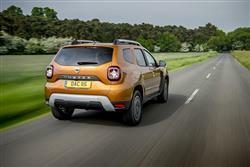 True, this is a big improvement on the 105hp petrol 1.6 that the original Duster was launched with, but it's still not particularly up to date compared to the engines used by modern rivals. So what does that mean in terms of returns? Well, for the front-driven model, you're looking at 43.5mpg on the combined cycle and 149g/km of CO2. Switch to the 4x4 variant and those figures fall to 40.4mpg and 158g/km. Looking at the 2WD model's figures, you're talking in rough terms of an efficiency showing that's about 10mpg and 25g/km behind the class normal for this engine and drive format. If your annual mileage isn't very high - as it won't be for most likely buyers - then this won't be too much of an issue. And of course, given the money you're saving, this Duster still works out to be an extremely cost-effective overall proposition indeed. If you�re looking for a new Dacia Duster 1.6 SCe Comfort 5dr Petrol Estate for sale, you�ve come to the right place. 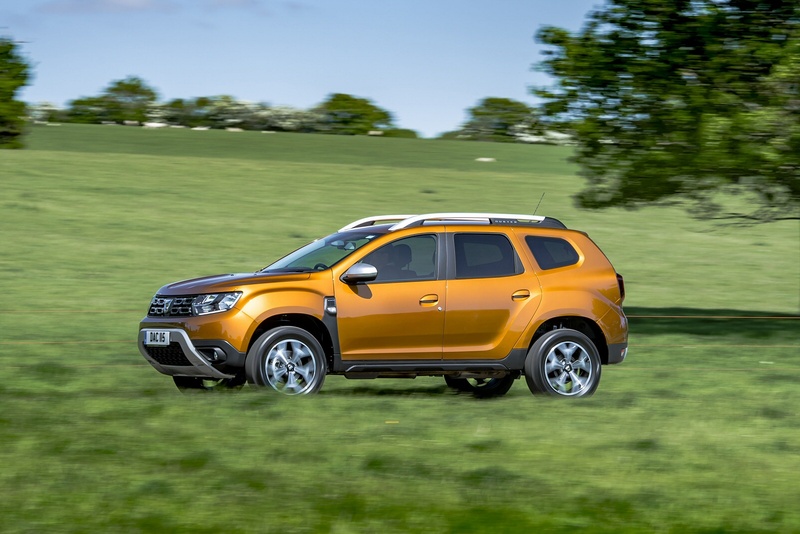 At Bristol Street Motors we don�t just have the best Dacia Duster 1.6 SCe Comfort 5dr Petrol Estate deals, we also offer friendly advice and help with all your enquiries to ensure your buying experience is a happy experience.